The Veneto 9pc outdoor set comprises a large dining table and 8 chairs. 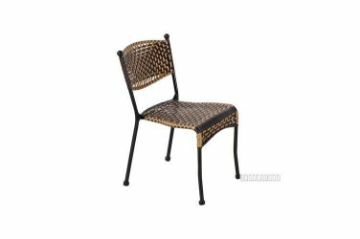 Modern design rattan sun lounger with quality aluminum frame. Very comfortable! 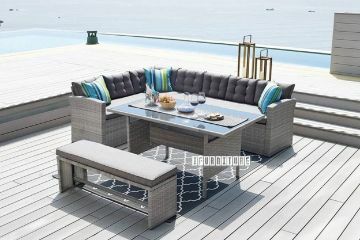 The comfy, modular, MILTON series is a quality, outdoor, light brown rattan conversation/dining set. Replica CLOVER Chair made with Fiber Glass. The MINI chairs are specially made for the little people in our lives. The MINI Stools are specially made for the little people in our lives.